'Dr. Ken' star is among the cast of Philip Kan Gotanda's play. Back row, from left: Kurt Kanazawa, Ryun Yu, Tim Dang (director), Greg Watanabe, Ron Bottitta. Front row, from left: Keiko Agena, June Angela, Suzy Nakamura. For Suzy Nakamura, appearing in Philip Kan Gotanda’s “Sisters Matsumoto” really hits home, even though she is a generation removed from the story. Presented by L.A. Theatre Works, the play will be performed without sets or costumes at UCLA’s James Bridges Theater on Friday, Nov. 16, at 8 p.m.; Saturday, Nov. 17, at 3 and 8 p.m.; and Sunday, Nov. 18, at 4 p.m.
With Tim Dang, former artistic director of East West Players, as director, the cast includes Nakamura, Keiko Agena (Lane Kim on “Gilmore Girls”) and June Angela (who recently appeared opposite Danny Glover in Gotanda’s “Yohen” at EWP) as the sisters. The cast also includes Kurt Kanazawa (who recently guest-starred on “Grey’s Anatomy”), Greg Watanabe (who played Mike Masaoka in the musical “Allegiance”) and Ryun Yu (who played Gordon Hirabayashi in the one-man show “Hold These Truths”). The story takes place in Stockton in 1945, after Japanese Americans were allowed to leave the camps and return to the West Coast. The sisters take up residence in their old home but are haunted by memories of camp and the death of their father. “We just finished our second rehearsal … so I feel like I’m just getting to know my character, Chiz,” said Nakamura. “On the surface, she’s the middle child and the tomboy, but I’ve started to realize that each sister represents a different expectation for life after World War II. Grace, the oldest, wants life to be like it was before the war. Chiz considers this a ‘do-over,’ and the youngest, Rose, is open to whatever this new life presents to her. Nakamura’s father left Tule Lake in Northern California to attend college in Michigan, while her mother left Minidoka in Idaho to start a new life in New York. 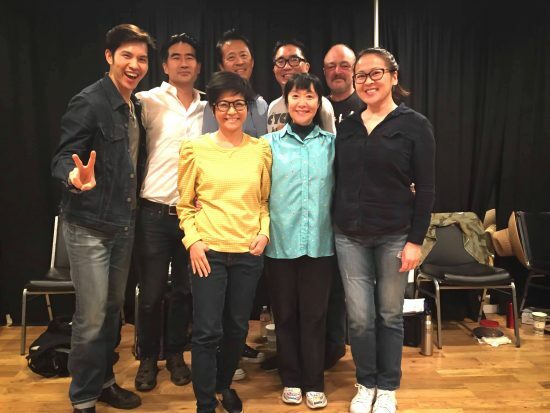 Many of Gotanda’s plays have exposed mainstream audiences to Japanese American and Asian American issues. “Sisters Matsumoto” premiered in 1999 at the Seattle Repertory Theatre and was later performed at San Jose Repertory Theatre, Huntington Theatre Company in Boston, Asian Stories in American Theatre in Washington, D.C., and EWP. “This is my first Philip Kan Gotanda play, but I’ve always wanted to be a part of one of his productions ever since my mom took me to see ‘Yankee Dawg You Die’ when I was a kid in Chicago,” Nakamura recalled. That two-character play about older and younger Asian American actors dealt with stereotypes and racism in Hollywood. Nakamura has worked with Agena before and shared the stage with Watanabe and Yu last year. “It’s great to meet and work with June Angela, Kurt Kanazawa, and Ron Bottitta,” she said. 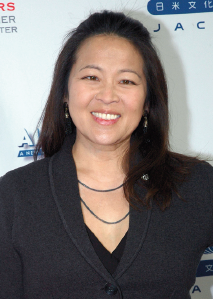 She was a regular or recurring cast member on “The Closer” (with Tom Selleck), “The West Wing,” “Daddio” (with Michael Chiklis), “Curb Your Enthusiasm,” “Half & Half,” “Help Me Help You” (with Ted Danson), “10 Things I Hate About You,” “Go On” (with Matthew Perry), and “Whole Day Down,” among others. “9JKL,” “Veep,” “Bob’s Burgers,” and “Bad Teacher,” to name just a few. The James Bridges Theater is located in Melnitz Hall, 235 Charles E. Young Dr. on the northern edge of the UCLA campus, just off Sunset (at Hilgard). Parking in Lot 3. Actor/activist George Takei, who was incarcerated with his family as a child, will take part in a discussion after the Nov. 17 matinee. Box office: (310) 827-0889, open Monday through Friday, 12 to 6 p.m. After hours: (866) 811-4111. For more information, visit https://latw.org/live-in-la.